Being a tropical country that produces abundant fruit all year round, preserving fruits into jams and jellies for future use never really became popular in the Philippines. It’s quite a pity actually, since in turn, our high quality fruits can make outstanding preserves, if people just took the time to make them. Enter Pierre Marmonier and his baby, The Fruit Garden, a line of luxurious artisan fruit jams. Growing up as a young boy in Southern France, Pierre was used to the homemade preserves from his mom’s own kitchen. When someone’s palate is used to lovingly made jams, how can he be fine with the commercially made ones? Even years ago, when he and his family still lived in Paris, Pierre was already experimenting with homemade jams, cooking them in small batches in old fashioned copper cauldrons; no preservatives, just fresh fruit and sugar, like how they’re traditionally done. Coming back to Manila, Pierre started The Fruit Garden. Touting his products as luxury jams, the claim is backed by a recipe that’s made up of at least 60% fresh fruit and natural cane sugar. No preservatives, no additives—just plain fruit goodness, naturally preserved with a little sugar. 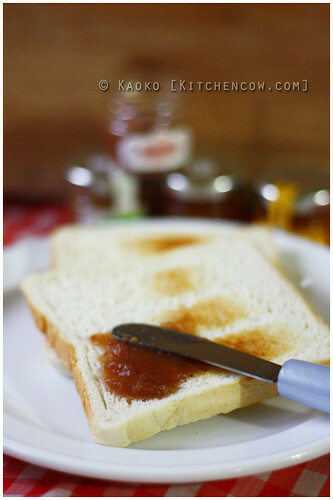 Biting into a piece of toast generously laden with jam, it’s easy to see where all the fruit goes. Each bite tastes strongly of fruit, laced with just enough sugar to make the fruit’s natural flavors shine. Instead of a thick, gooey clump, you get a slightly thickened preserve, made just right for spreading atop dollops of butter. 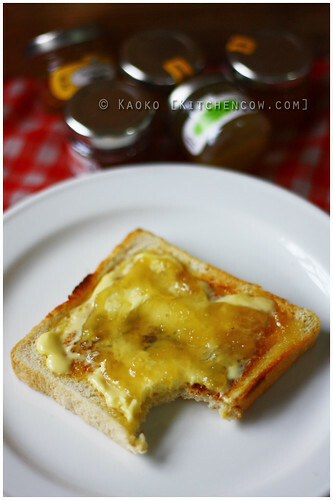 Pineapple Coco Rhum on buttered toast. Mmmmm! The fruit combinations are interesting as well. I’ve tried the Mango-Ginger, the Strawberry-Banana, the Mango-Lavender and the Pineapple-Coco-Rhum. These unique flavor combinations create a more complex flavor that rises above the usual bottled jam. These would be a great thing to add to desserts and entrees to set off unusual flavors, but honestly, a nice piece of toast, spread with butter and these exquisite jams, feels luxurious enough for me. Strawberry-Banana. Sounds like a fruit shake, yes? The Fruit Garden’s jams are available in more flavors, with new ones showing up as fast as Pierre can concoct. 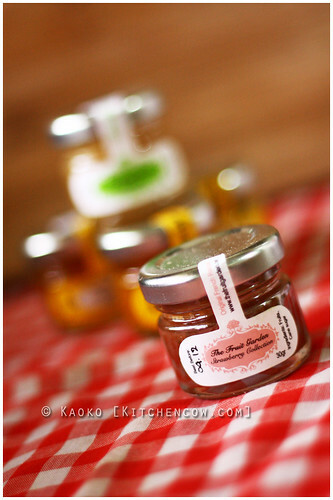 They’re available in different sizes, but I especially like the 120g sampler jars. Mix and match the ones you find intriguing, have them packed in gift boxes and you’re all set for the holidays! Treat yourself to a good helping of The Fruit Garden’s Jams and discover how a simple slice of toast can be oh-so-luxurious. Many thanks to Mr. Pierre Marmonier for The Fruit Garden sampler. 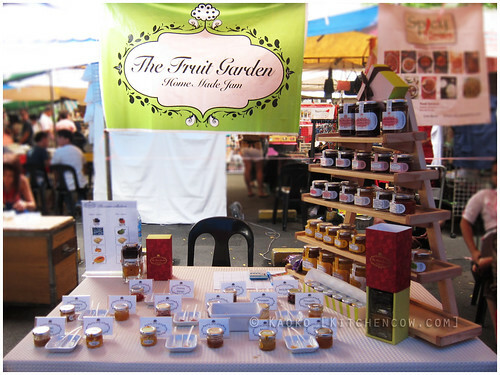 The Fruit Garden is available at the Legazpi Sunday Market, at the Powerplant Baker’s Fair, and at selected stores. For more information, email info@thefruitgarden.net. i got a jar of the mango ginger as a wedding ty favor. found it to be a unique token; after tasting it, understood the “luxury” label! 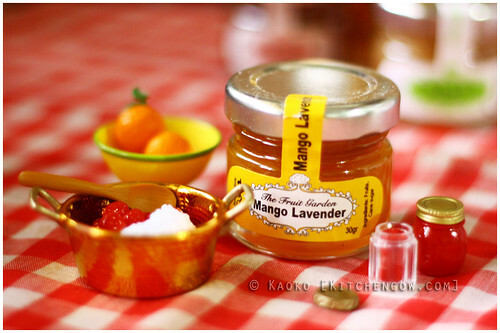 but i couldn’t taste the ginger tho, just the yummy mango :o9 my mom makes lots of mango jam in a big kaldero, too but fruit garden’s is cleaner tasting (sorry ma! ), meaning you taste more of the fruit, less of the sweetness. which is prolly also why the expiry date’s shorter too.